When you donate with Kentucky Blood Center, you are a hero to a local patient. 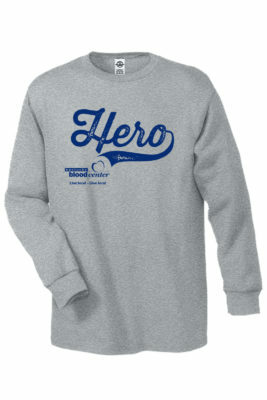 Let others know about your heroics with this long-sleeve T-shirt. Get one when you donate blood this month.